Ms. Stellar Tucker is a Managing Director and the Global Head of Business Services at UBS Investment Bank responsible for building the firm’s franchise in the sector around the world. She is a highly seasoned financial services professional with over twenty years of investment banking and financial management experience. Prior to UBS, she was a Managing Director and Global Co-Head of Business Services in the Investment Banking Division of Goldman Sachs where she built a career for thirteen years. At Goldman, she built a Business Services franchise which had a #1 M&A market share, with a focus on C-suite and Boardroom relationships at both Corporate and Financial Sponsor clients. 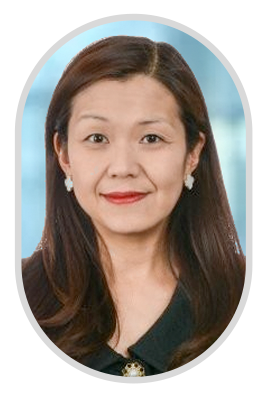 She was also a senior member of the General Industrials Group and spent the early part of her career as a member of the Mergers & Acquisitions Group, where she advised numerous blue chip clients in the Consumer, General Industrials, and Aerospace and Defence sectors. She also served in management roles on recruiting and professional committees. In addition, Stellar was the Global Head of Business Services at Foros Group, a boutique M&A advisory firm building their franchise in Business Services prior to UBS. She was the CFO of a private hedge fund seeded by Julian Robertson of Tiger Management for several years as well.